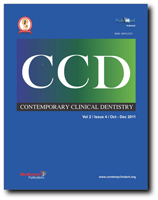 Aim: Gingival crevicular fluid (GCF) is regarded as a promising medium for detection of markers of periodontal disease activity. Very few investigators have examined concentration of electrolytes in GCF, but most results are not in agreement to one another. This study was undertaken with an objective of quantitative estimation of sodium, potassium and calcium concentrations of GCF in gingivitis and periodontitis, to find the reliability of these ions as diagnostic markers and to analyze the relation of these ions to one another. This will indicate stage of disease activity which helps in early diagnosis, prevention and treatment of periodontal diseases. Materials and Methods: The patients selected for the study included both sexes, aging from 18 to 55 years, divided into two groups: gingivitis (group I) and periodontitis (group II). Using volumetric microcapillary pipette, 5 μl GCF was collected for quantitative analysis of sodium, potassium and calcium using flame photometry. Results: The concentrations of sodium, potassium and calcium in GCF and their significant correlation with gingival index and pocket depth measurements reflect the clinical status of gingival and periodontal tissues. Conclusions: Estimation of these electrolytes may be used as potential diagnostic markers of active disease status in periodontal tissues and to predict the effective methods of prevention and treatment. Background: The unicystic variety of ameloblastoma is reported to be significantly less prone to recurrence in young patients than its conventional counterpart, and therefore can be treated conservatively. This paper describes a technique of using an osteoperiosteal flap to allow complete enucleation of a unicystic ameloblastoma. The technique maintains the continuity of the mandible and restores full thickness as well as strength of the mandible to promote early healing. It also maintains blood supply and proper facial contour so that esthetics is unimpaired. Materials and Methods: We describe two cases of unicystic ameloblastoma in which we used an osteoperiosteal flap. This flap was then infractured at the lower border to obliterate the dead space. Results: The sequential radiographs demonstrate early incorporation of the graft and complete filling of the defect by 3 months. At 5 years of follow-up in our first case, complete healing of bone was observed. Conclusions: We believe that these procedures can be the treatment of choice in such cases, especially with larger lesions, as these rapidly restore the patient's facial contour to normal as well as reduce the healing time. 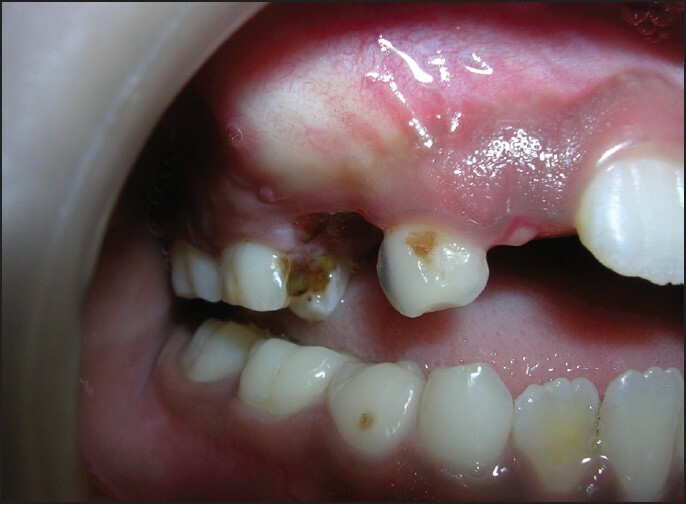 Introduction : Prevention of dental caries is one of the main strategies in contemporary pediatric dental practice. Mouth rinses are widely used as an adjunct to maintain oral hygiene. It is important for these products to be effective and safe for regular use in children. Objective : The aim of the study was to investigate the efficacy of a newly introduced xylitol, sodium fluoride and triclosan containing mouth rinse in reducing levels of plaque Streptococcus mutans and to compare it with that of a 0.12% chlorhexidine mouth rinse. Materials and Methods : Thirty children were randomly divided into two groups of 15 children each. Group I (study group) was given a mouth rinse containing xylitol (5%), sodium fluoride (0.05%) and triclosan (0.03%) and Group II (control group) was given a chlorhexidine (0.12%) mouth rinse. Both mouth rinses were alcohol free. Mouth rinsing was carried out twice daily, half an hour after breakfast and half an hour following dinner, for a period of 21 days under the supervision of the investigator. Results: In both groups, there was a significant reduction in the mean S. mutans count at the end of 21 days (P < 0.001). No significant difference was observed between the two mouth rinses. Conclusion: The use of a low fluoride-xylitol based mouth rinse appears to be a suitable choice for regular use in children. Aims: Evaluation of calcium ion and hydroxyl ion release and pH levels in various calcium hydroxide based intracanal medicaments. Objective: The purpose of this study was to evaluate calcium and hydroxyl ion release and pH levels of calcium hydroxide based products, namely, RC Cal, Metapex, calcium hydroxide with distilled water, along with the new gutta-percha points with calcium hydroxide. Materials and Methods: The materials were inserted in polyethylene tubes and immersed in deionized water. The pH variation, Ca ++ and OH− release were monitored periodically for 1 week. Statistical Analysis Used: Statistical analysis was carried out using one-way analysis of variance and Tukey's post hoc tests with PASW Statistics version 18 software to compare the statistical difference. 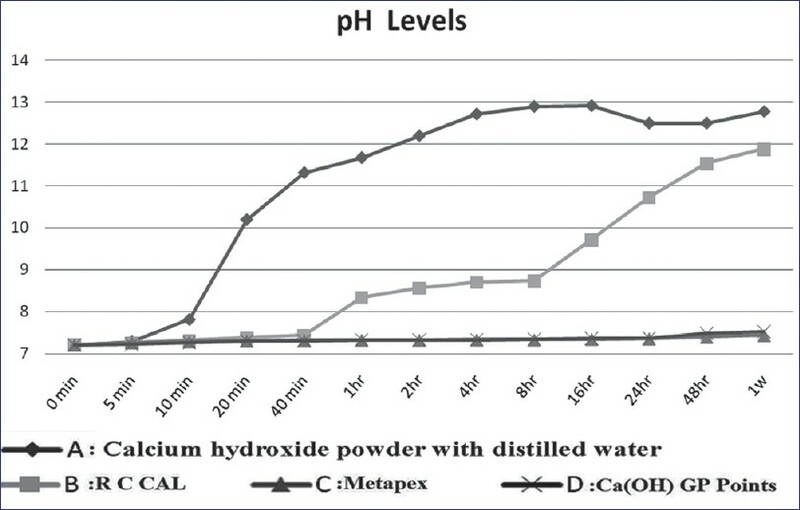 Results: After 1 week, calcium hydroxide with distilled water and RC Cal raised the pH to 12.7 and 11.8, respectively, while a small change was observed for Metapex, calcium hydroxide gutta-percha points. 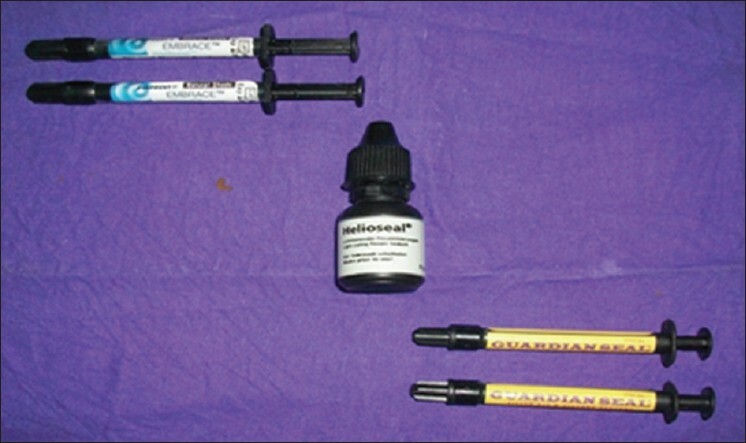 The calcium released after 1 week was 15.36 mg/dL from RC Cal, followed by 13.04, 1.296, 3.064 mg/dL from calcium hydroxide with sterile water, Metapex and calcium hydroxide gutta-percha points, respectively. Conclusions: Calcium hydroxide with sterile water and RC Cal pastes liberate significantly more calcium and hydroxyl ions and raise the pH higher than Metapex and calcium hydroxidegutta-percha points. Aims: To evaluate the effectiveness of different disinfectant agents in decontaminating the toothbrushes, and to educate the children, parents and the community on the decontamination of toothbrushes. Materials and Methods: Fifty healthy male children in the age range of 8-11 years were enrolled. They were divided into five groups of 10 each and provided with toothbrushes and disinfectants. 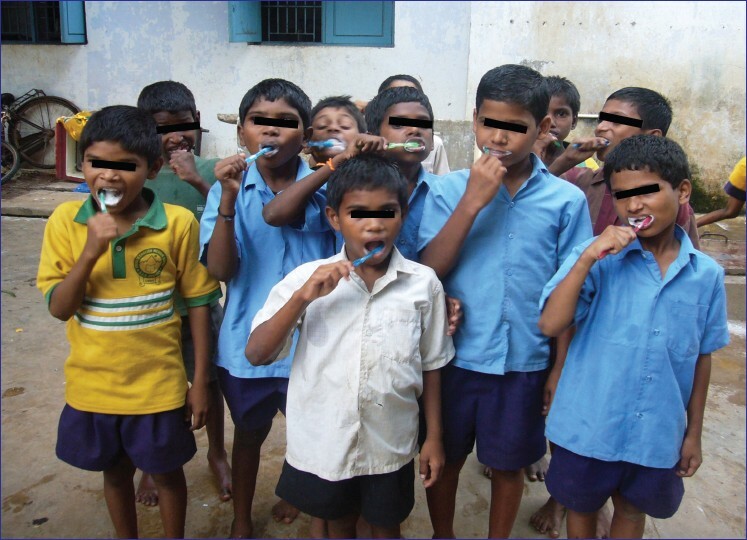 Instructions were given to the children and the toothbrushes were collected after brushing and cultured for the growth of microorganisms. The efficacy of Hexidine® , 3.0% hydrogen peroxide and Listerine® and Dettol® were evaluated. Chi-square test was used for statistical analysis. Results: Hexidine, 3.0% hydrogen peroxide and Listerine showed 100% efficacy, whereas Dettol showed 40% effectiveness in decontaminating the toothbrushes. Water as a control showed the least effectiveness in cleaning the toothbrushes. Conclusions: The study concluded that 3.0% hydrogen peroxide is the most economical and effective disinfectant when compared with the other disinfectants. Although clinician's skills and experience play a major role in designing and fabrication of the optimum prosthodontic restorations, the selection of denture resins is equally important, especially when the patient has been using the prostheses since long. 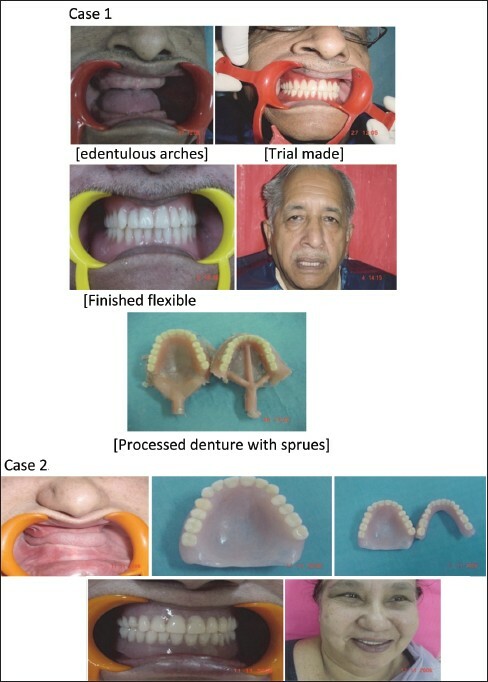 Eighteen cases who were not satisfied with their conventional acrylic dentures were selected. They were provided flexible dentures along with a questionnaire to precisely evaluate the advantages of new material. Prosthodontic planning & observations regarding this material are discussed on various parameters. Background: Although Atraumatic restorative treatment (ART) approach has been in existence for a while, the reasons for the poor performance of multisurface ART restorations are not very clear. Aim: The aim of this study is to investigate the effects of oral hygiene, residual caries and cervical marginal-gaps on survival of proximal ART restorations. Settings: Two rural divisions in Kenya were selected for the study. Design: A randomized clinical trial. Material and Methods: The 804 children in the study had their baseline- and 2-year dental plaque levels documented. Each child received one proximal restoration in a primary molar using ART approach, together with trained and pre-tested operators/assistants, three glass ionomer cements (GIC)-brands and two tooth-isolation methods. The restorations were clinically evaluated soon after placement and after 2 years. Post-restorative bite-wing radiographs taken soon after restoration were also evaluated. Statistical analysis: Statistical Package for Social Sciences (SPSS) version 14 computer programme was used and results tested using Pearson's correlation, Cox Proportional Hazards regression analysis and Multiple Logistic regression models tests. Results: At baseline and after 2 years, the mean cumulative survival and plaque index changed from 94.4% to 30.8% and 2.34 (Standard Deviation, or SD of 0.46) to 1.92 (SD 2.1) respectively, with higher plaque indices associated with higher restoration failures. Of the 507 radiographs evaluated, 48 (9.5%), 63 (12.4%) and 9 (1.8%) restorations had residual caries (RC), cervical marginal-gaps (CMG) and both RC/CMG respectively. Survival of the restorations with RC/CMG was significantly lower (p = 0.003) compared to those with RC or without RC. Conclusion: Low survival of proximal restorations in the study was associated with the presence of cervical marginal-gaps. Introduction : In this era of preventive dentistry, many techniques are available for prevention of caries, such as plaque control, use of systemic and local fluorides and pit and fissure sealants. The rationale of pit and fissure sealants is that, when they are applied into the caries prone fissures, they penetrate and seal them from the oral environment. This study aims to correlate the relationship between the viscosity of the sealant, resin tag length and microleakage. Materials and Methods : 30 third molars were selected for study. The teeth were randomly divided into 3 groups. Group E: Embrace wetbond, H: Helioseal, G: Guardian seal. 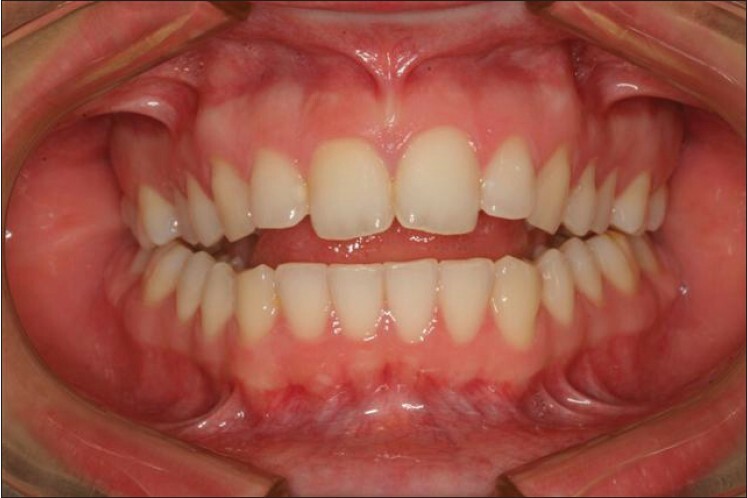 Teeth were cleaned with pumice prophylaxis and pretreated with acid etching and bonding agent. The respective pit and fissure sealants were applied. Teeth were placed in 1% methylene blue dye and sectioned mesio-distally into two halves. These were used to assess the microleakage using stereomicroscope and resin tag length using SEM. Viscosity was assessed using Brooke's field viscometer. Results : Viscosity was lowest for Embrace wetbond and highest for Guardian seal. Microleakage scores were highest with Guardian seal and lowest with Embrace wetbond. Resin tag lengths were longer with Embrace wetbond as compared to other groups. There is a definite negative correlation between viscosity, resin tag length and microleakage. Lower the viscosity, the longer were the resin tags and the microleakage decreased. Embrace wetbond pit and fissure sealant had lowest viscosity, longest resin tag length and lowest microleakage scores. Conclusion : Embrace wetbond appears to be compatible with residual moisture and ideal for use in children, where isolation is a problem. Dentofacial Orthopedics directed to a hypoplastic maxilla in the prepubertal period redirects growth of the maxilla in the vertical, transverse and sagittal planes of space. The orthopedic correction of maxillary hypoplasia in the early mixed dentition period thus intercepts the establishment of permanent structural asymmetry in the mandible and helps in the achievement of optimal dentofacial esthetics. 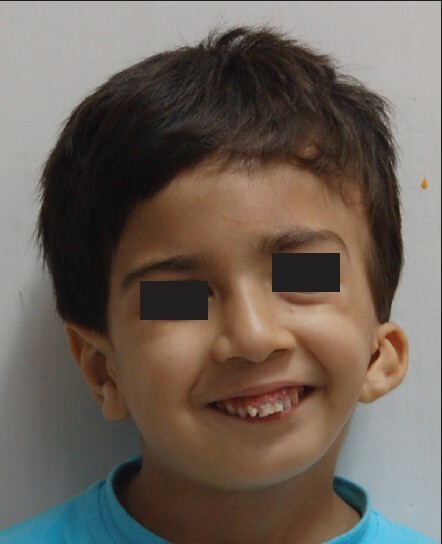 This paper presents the growth redirection in a hypoplastic maxilla of an 8-year-old girl with simultaneous rapid maxillary expansion and protraction headgear therapy for a period of 11 months which corrected the posterior unilateral cross-bite, the positional asymmetry of the mandible and established an orthognathic profile in the individual. 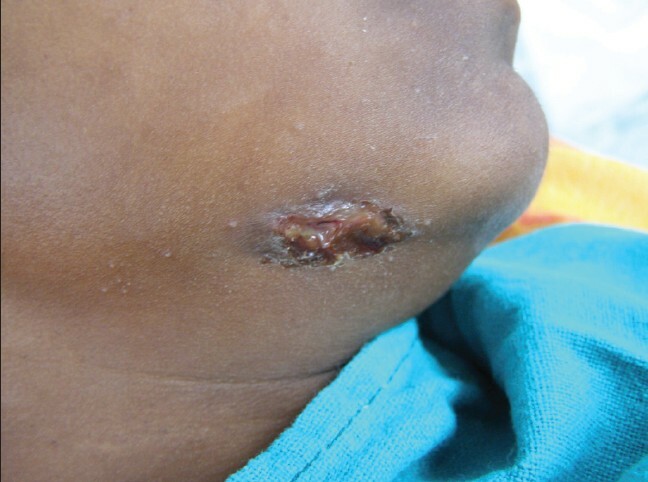 Melanotic neuroectodermal tumor of infancy is a rare congenital neoplasm involving the head and neck region in young patients. 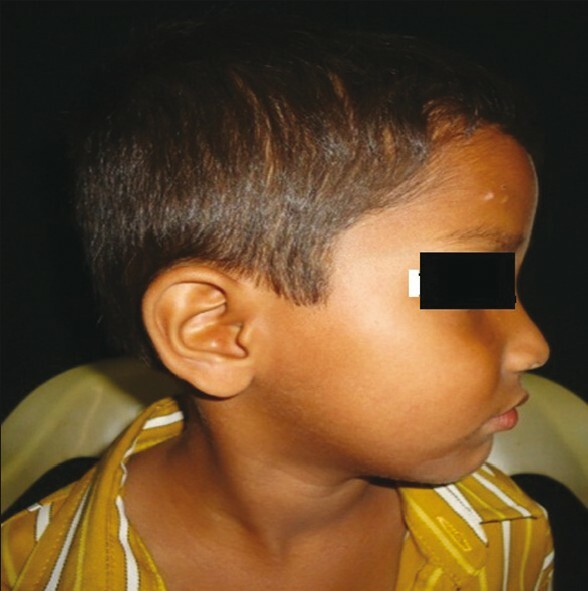 A case of melanotic neuroectodermal tumor of infancy is presented. This tumor occurred in right maxillary alveolar ridge in a 4-month-old infant. The present case showed an increased urinary level of vanilmandelic acid, confirming that the tumor is originated from neural crest. Clinical assessment, histologic diagnosis, and laboratory findings supported the diagnosis. 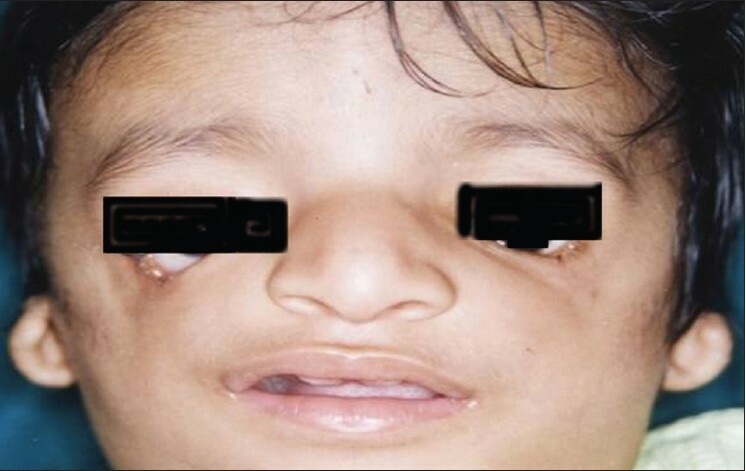 Treacher Collins syndrome has been described as a syndrome involving 1st and 2nd branchial arches, affecting various organs in the craniofacial region. 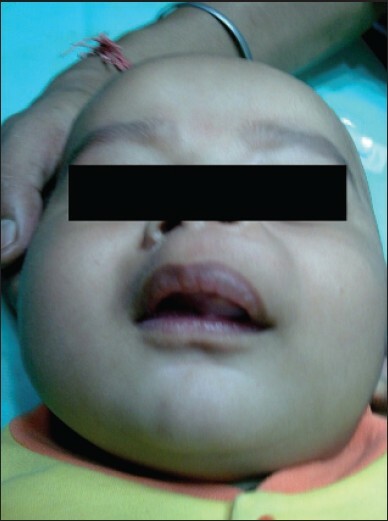 Affected infants report with nasal regurgitation and minimal dietary intake due to cleft palate, consequently show delayed and retarded growth. The situation is further complicated when the repair of the palatal defect is postponed due to delayed milestones. At this juncture, it is of paramount importance to intervene prosthetically and close the defect with the aid of an interim obturator. Herein we describe a simple, yet successful, chairside approach to make an impression of an infant without the aid of any kind of anesthesia. In the past decade, science of implant placement has greatly advanced and at the same time much success has been experienced with the endosseous implant. Despite the long-term predictability of the implants, however, biological, technical and esthetic complications do occur. The use of osseointegrated implants as a foundation for prosthetic replacement of missing teeth has been highly predictable, but still at present, there is no consensus of how to best manage the complications occurring after implant placement. 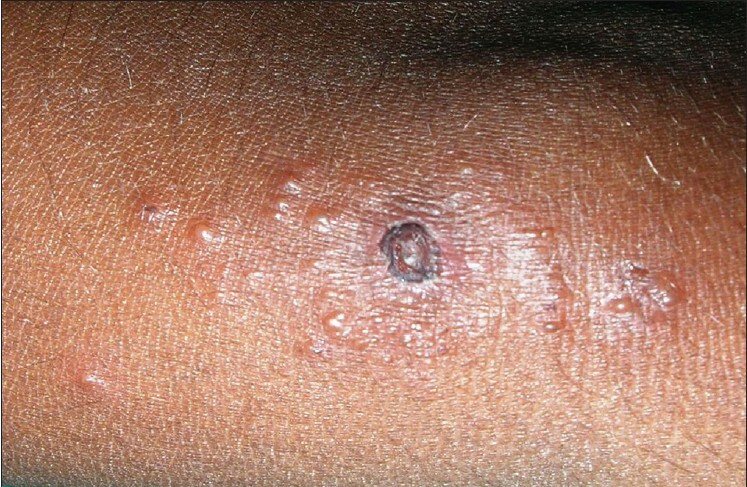 In this report, we discuss post-insertion complication of bone necrosis and its successful management. The use of rigid connectors in 5-unit fixed dental prosthesis with a pier abutment can result in failure of weaker retainer in the long run as the pier abutment acts as a fulcrum. 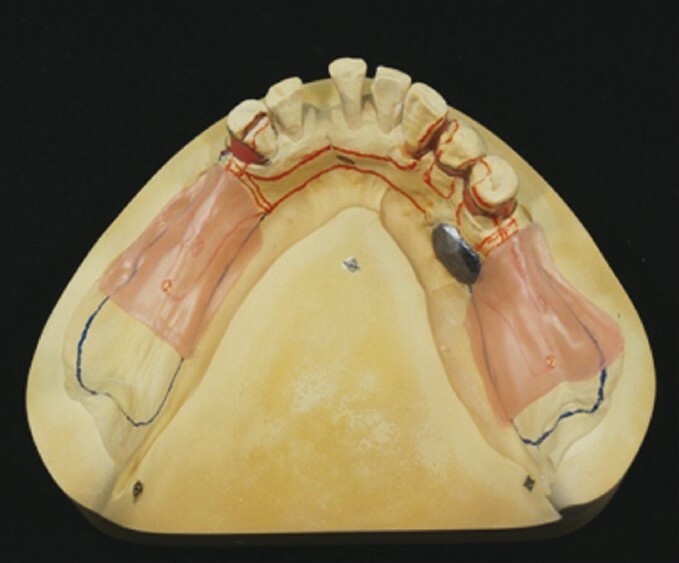 Non-rigid connector placed on the distal aspect of pier seems to reduce potentially excess stress concentration on the pier abutment. Malignant melanoma of the oral cavity is very rare. This clinical report describes a method for prosthetic rehabilitation of a patient with malignant melanoma of the palate following partial maxillectomy with a closed hollow interim obturator. Unicystic ameloblastoma is a rare, benign, locally invasive odontogenic neoplasm of young age that show clinical, radiographic, or gross features of an odontogenic cyst, but histologically shows typical ameloblastomatous epithelium lining part of the cyst cavity, with or without luminal and/or mural tumor growth. The article presents atypical cases of a large, asymptomatic unicystic ameloblastoma of posterior maxilla and mandibular molar-ramus regions which were treated by surgical enucleation and application of Carnoy's solution for 3 min. 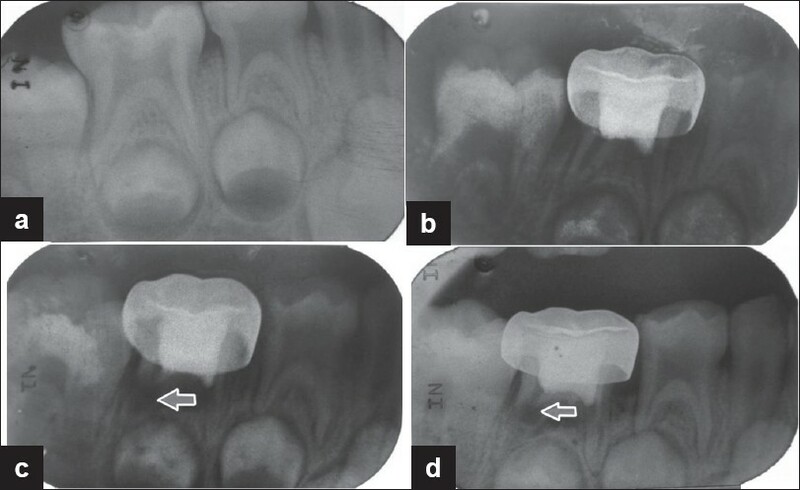 The article also describes the importance and complexity of differential diagnosis of an odontogenic lesion sharing common clinical and radiographical features. Herein we report treatment for a 19-year-old female patient with severe osteoarthritis of the temporomandibular joint. 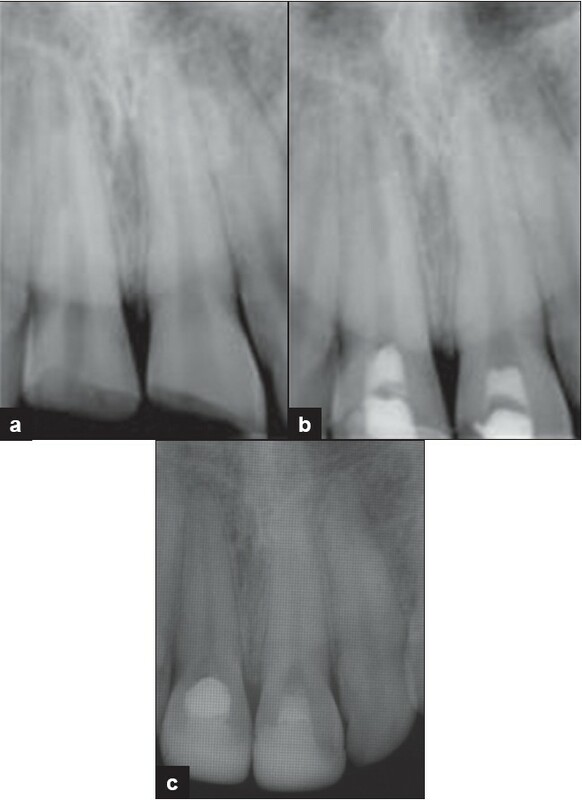 The patient had severe open bite with a Class II molar relationship. She had limited mouth opening and pain. Clinical examination and magnetic resonance imaging revealed that she had anterior disc displacement without reduction. By splint therapy, limited mouth opening and pain was eliminated, but an anterior open bite developed after the treatment. By orthodontic treatment, an acceptable occlusion was achieved with a Class I molar relationship. The radicular cyst arises from epithelial remnants stimulated to proliferate by an inflammatory process originating from pulpal necrosis of a non-vital tooth. Radiographically, the classical description of the lesion is a round or oval, well-circumscribed radiolucent image involving the apex of the tooth. Radicular cyst is usually sterile unless it is secondarily infected. 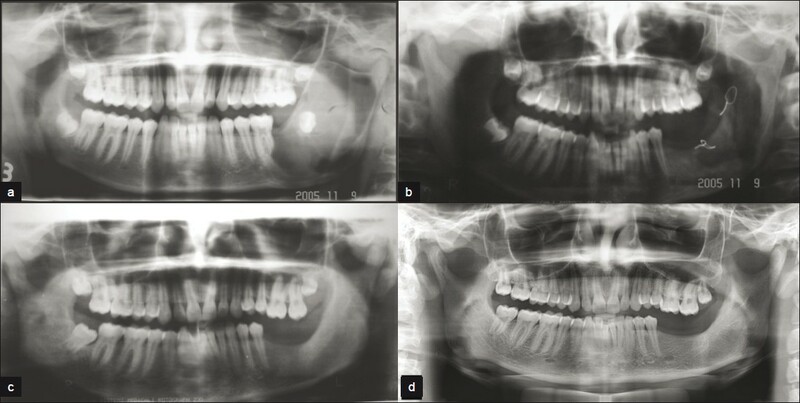 This article presents a successful case of conservative non-surgical management of an infected radicular cyst associated with an immature permanent mandibular second molar (47) in a 14-year-old child. The use of functional jaw orthopedics, at the correct time during growth, can ultimately result in malocclusion patients achieving a broad beautiful smile, an excellent functional occlusion, a full face with a beautiful jaw line and lateral profile. 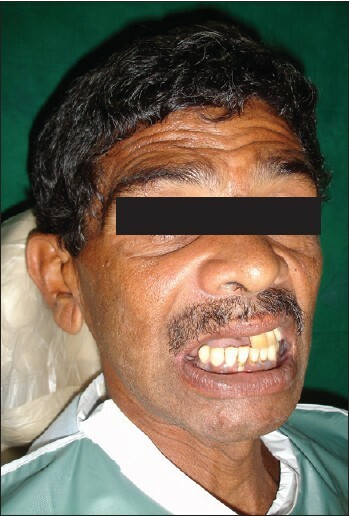 Following is a case report of a young growing individual with mandibular retrognathia. Treatment was planned in two stages with the use of twin block during the first phase for correction of skeletal malocclusion and forward positioning of the mandible, followed by the second phase of fixed pre-adjusted edgewise orthodontic appliance for camouflaging the remaining skeletal discrepancy and achieving a stable harmonious occlusion. 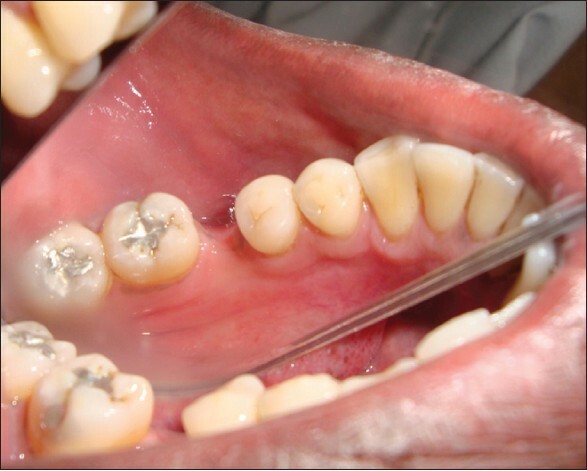 This case report describes the partial pulpotomy treatment of complicated crown fractures of two cases by using white mineral trioxide aggregate (WMTA) with long-term follow-up. In the cases presented here, to injured incisor teeth were open apices and the pulp exposure site was large, so it was decided to perform vital pulpotomy with WMTA. Long-term follow-up examinations revealed that the treatment preserved pulpal vitality with continued root development and apex formation. WMTA may be considered as an alternative option for the treatment of traumatized immature permanent teeth. Solitary median maxillary central incisor (SMMCI) is a rare dental anomaly. It is estimated to occur in 1:50,000 live births. The SMMCI tooth differs from the normal central incisor in that the crown form is symmetric and it develops and erupts precisely in the midline of the maxillary dental arch in both primary and permanent dentitions. 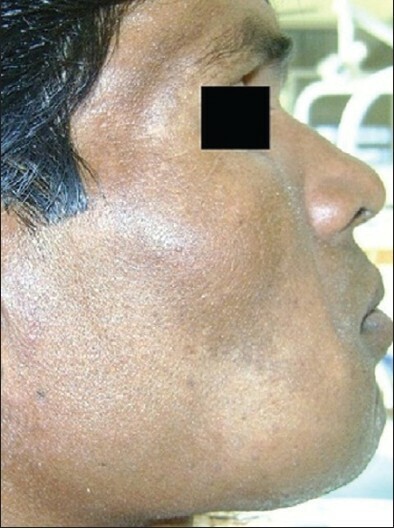 Presence of SMMCI with hemifacial microsomia (HFM) is a very rare clinical condition. We report a case of HFM in a male of Indian origin who presented with SMMCI in both primary and permanent dentitions. The association of HFM with SMMCI may be due to defective development of neural crest cells and/or lack of space in maxilla. Chondrosarcoma is a rare primary malignant neoplasm of the head, neck, oral and maxillofacial regions. The clinicopathological and radiographic findings are usually characteristic; however, not decisive. The neoplasm is usually treated by wide surgical resection because it is traditionally radioresistant. However, radiotherapy is generally advised for high-grade lesions, and chemotherapy has a palliative role. The treatment and management are primarily guided by the histological grades of the neoplasm. Prognosis of jaw lesions is poor as compared to the lesions affecting the long bones of the body, and the cause of death is usually by direct extension in the base of the skull or due to distant metastasis to lungs and other bones. 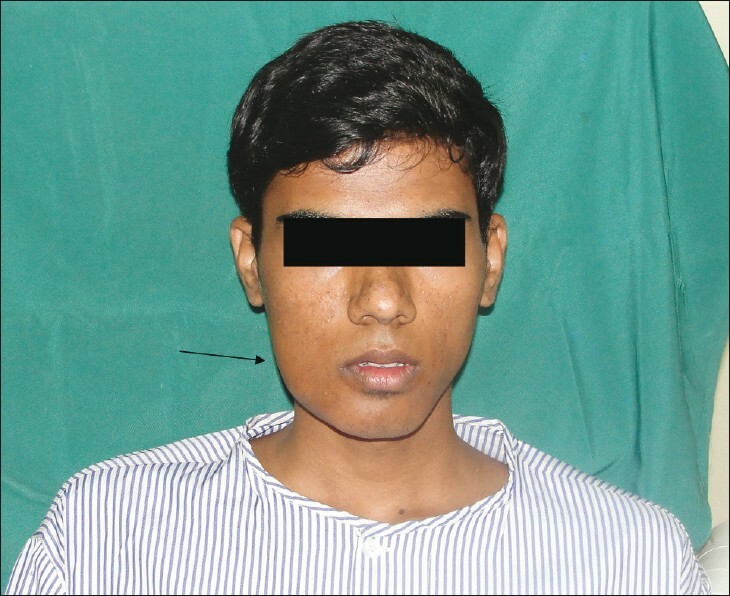 A clinical case of chondrosarcoma, involving the right half of mandible of a 36 year old male patient is discussed herewith, encompassing the entire gamut of clinicopathological, radiological and treatment modalities rendered. Hormonal fluctutaions affect not only a woman's reproductive system but surprisingly they have a strong influence on the oral cavity also. These changes are not necessarily the result of direct hormonal action on the tissue, but are perhaps best explained as the effects of the local factors (e.g. plaque on tissues exacerbated by hormonal activity). 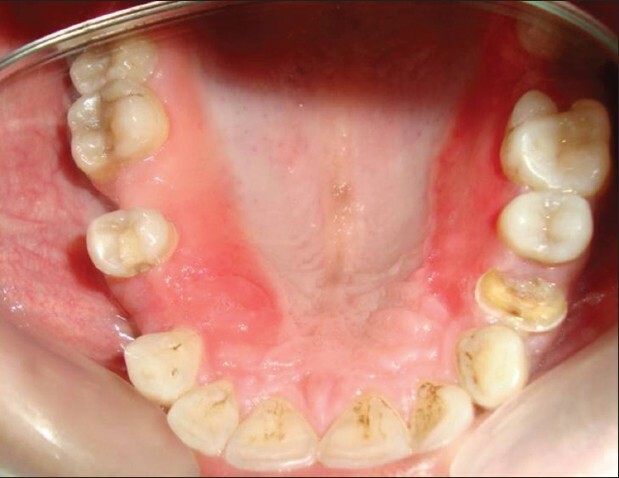 One such case of pubertal induced gingival enlargement associated with chronic generalized periodontitis caused by the combined influence of hormones and the habit of unilateral mastication is presented here. A 14-year-old girl reported with a complaint of swollen gums in the right maxillary and mandibular arches of the mouth since 2 years. The patient also had the habit of unilateral mastication (left side) since childhood which was revealed upon history. Amelioration of the gingival inflammation and the periodontal attachment loss was obtained through conventional periodontal therapy, including plaque control, scaling, root planing, and surgical removal of the soft tissue using Modified Widman Flap and bone grafting. Postoperative follow-up did not show any signs of recurrence. Pubertal induced gingival enlargement with unilateral masticatory habit needs early removal of enlargement to prevent further bone loss. Dentigerous cyst is the most prevalent type of odontogenic cyst and is associated with crown of an unerupted or a developing tooth and accounts more than 24% of jaw cysts. Here, we present an interesting case of dentigerous cyst in a 4-year-old boy, which developed around an unerupted maxillary first premolar. Histological examination revealed a cyst with 1-2-cell-thick epithelial lining and presence of inflammatory cells in the connective tissue. Our aim is to report an application of a prefabricated light-polymerizing plastic pattern to construction of removable partial denture framework without the use of a refractory cast. A plastic pattern for the lingual bar was adapted on the master cast of a mandibular Kennedy class I partially edentulous patient. The pattern was polymerized in a light chamber. Cobalt-chromium wires were employed to minimize the potential distortion of the plastic framework. The framework was carefully removed from the master cast and invested with phosphate-bonded investment for the subsequent casting procedures. A retentive clasp was constructed using 19-gauge wrought wire and was welded to the framework by means of laser welding machine. An excellent fit of the framework in the patient's mouth was observed in the try-in and the insertion of the denture. The result suggests that this method minimizes laboratory cost and time for partial denture construction.